British filmmaker Alexander Farrell joins Matthew Amroliwala to discuss his new documentary Refugee which follows a Syrian family as the navigate through ten countries on their perilous journey to Europe. For news and updates on Refugee please enter your details below. UNICEF are committed to delivering essential supplies and services for Syrian families and keeping Syrian children from becoming a ‘lost generation’. Critical efforts are being made to minimize the impact of the crisis on children – including in the life-saving areas of health, nutrition, immunization, water and sanitation, as well as education and child protection. UNICEF is also working in neighbouring countries to support Syrian refugee families and the host communities in which they have settled. These efforts are critical not only for defending the rights of children, but also for safeguarding their future. War Child USA works to protect children and their families in conflict zones so that they can thrive wherever they call home. Our mission is to help children in war-affected communities reclaim their childhood through access to education, opportunity and justice. 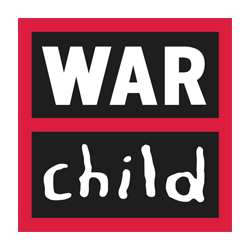 War Child uses a locally-driven, long-term approach tailored to meet the specific needs of each community that champions local people as the drivers of change and peace. Together with our partner, War Child Canada, our programs support over 500,000 people every year.